RED HOOK — Cacao Prieto celebrates the launch of its latest bourbon at a free block party at its factory in Red Hook on Friday, Oct. 19. The event, which marks the debut of the distillery's Widow Jane seven-year bourbon, will feature live music and free tastings of Cacao Prieto's rum, bourbon and alcohol-free chocolate bars, plus cocktails and food at the Botanica event-space next door. 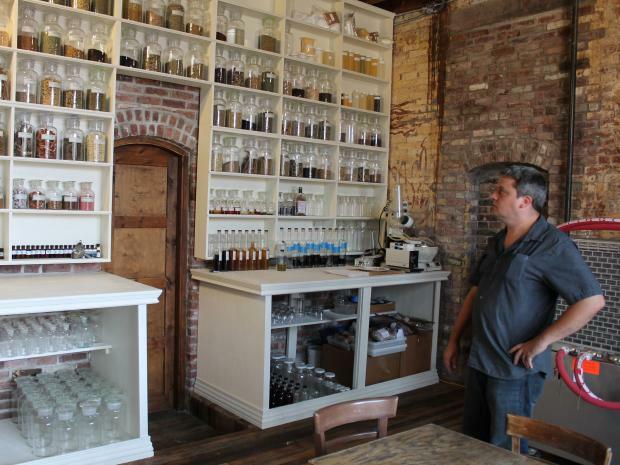 "This is becoming the epicenter for New York State whiskey," owner Daniel Preston said. "New York is becoming the epicenter of the craft-food world. And I think we fall into that." Two thousands bottles of Widow Jane, made from Kentucky bourbon and water drawn from the former Widow Jane limestone mine in upstate New York, will hit store shelves next month, each selling for about $50, Clark said. The spirit is a follow-up to Cacao Prieto's five-year Widow Jane bourbon, which debuted last month with 1,500 bottles and has nearly sold out. Owner Dan Prieto Preston "owns a piece a property on top of the mine," Clark explained. "We thought the name was pretty spectacular." The distillery is also preparing a new whiskey and a coffee liqueur. The whiskey, named Widow Jane Organic Wapsi Corn Whiskey, still needs to be aged — "at least six months or more," Clark said. The liqueur, developed with Brooklyn Roasting Company, is expected to arrive in stores in October or November.